at 'tanned look'. I have realised now after multiple years of resembling Wednesday Addams there ain't' nothing wrong with a little bronze and glow *sings usher*. I will always love my pale skin and nick name 'Mona' at school but popping a little bronzing powder on defiantly adds a healthiness I was most certainly lacking. This is a good hybrid between bronzer and a contour shade, I do prefer a grey/ash to properly contour with but for an everyday easy sculpt shade this is perfect. Its not too orange or red nor does it give 'fake tan face' plus my milky complexion can take it just use a light touch. The highlighter is gorgeous, it's very sheeny no chunks of glitter at all it is very finely milled and never looks glitter ball - it just kisses the cheekbones with a sophisticated shimmer that always looks gorgeous it also works well as an eyeshadow and at the price multi use is always a win. Overall I love it, it's just a beautiful thing for any beauty addict to own. It's not the best as a contour product your not going to apply and resemble Kim K but aptly named 'bronze & glow' we can't really grumble. 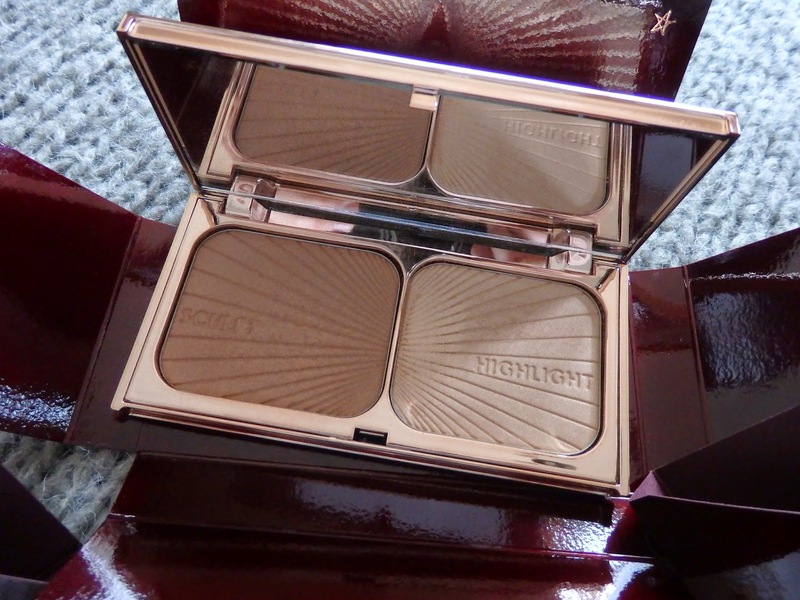 Pale skin girls rejoice a bronzer we can use (with a light hand! ).